Engagement rings and wedding bands are a symbol of a lifelong love and therefore are worn for a lifetime. However, we do understand that sometimes your personal taste, style or even lifestyle change and the ring that you loved at first now no longer fits your style. 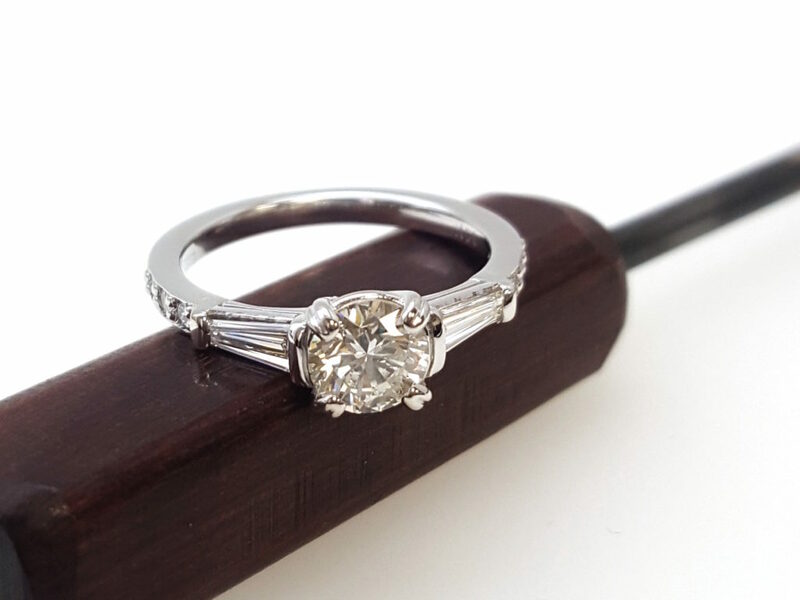 Here is an example of a new engagement ring created using existing diamonds from our client’s original platinum cluster diamond engagement ring. 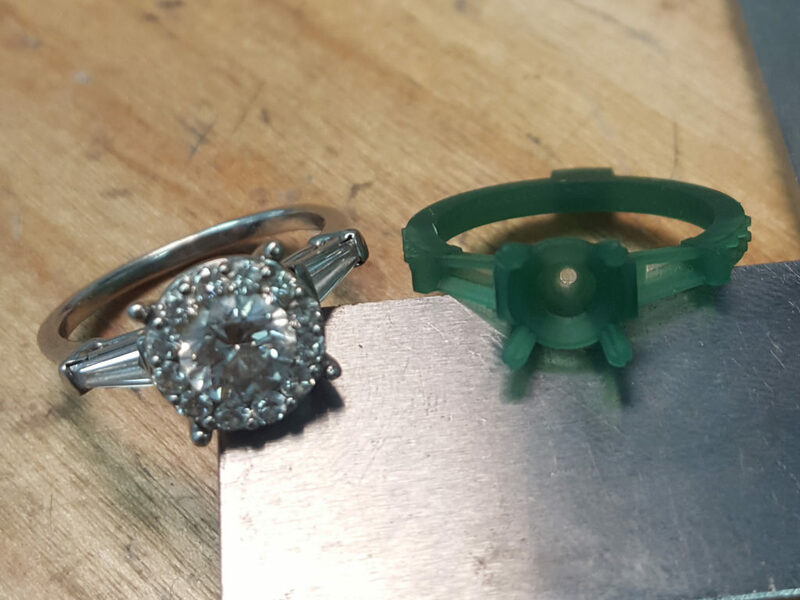 Originally, she was referred to us to repair her platinum ring which had cracked in multiple places. After discussing options for repair she decided she would rather completely remake the ring to better fit into her lifestyle and career as a nurse. Not only would she get a cleaner style with a new ring, she would also have a ring less likely to get damaged when working with her hands or catch on gloves or clothing. 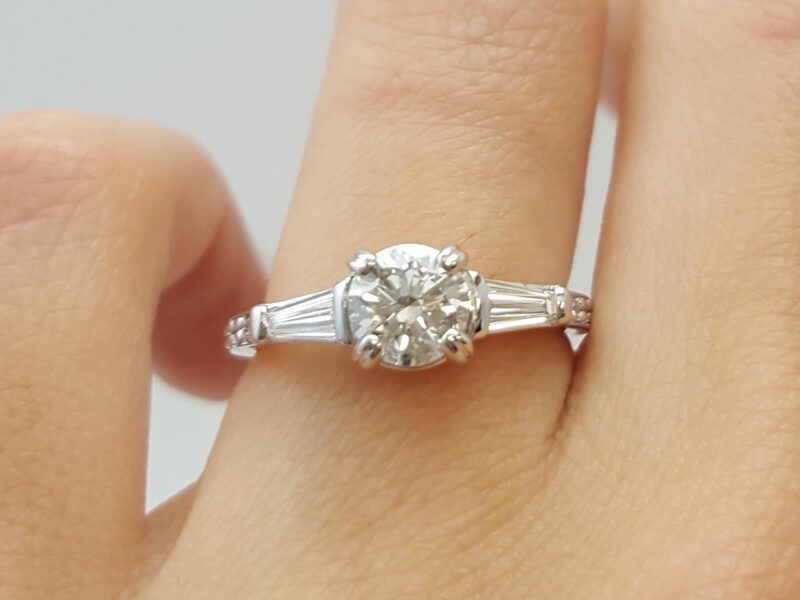 We redesigned the platinum engagement ring to create a lower profile and maintain the classic vintage look of her original ring. All of the diamonds in the new ring are her original diamonds, setting the diamonds from around the halo in the band of the new ring. 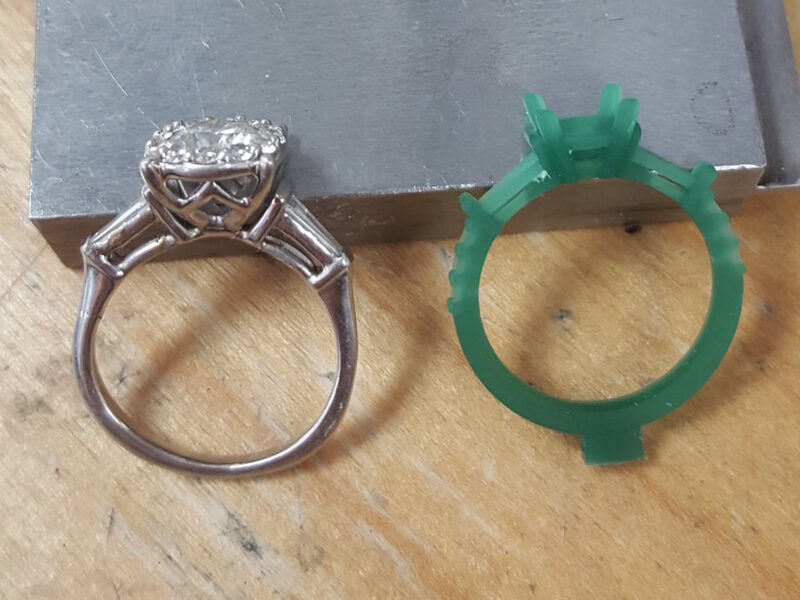 Here are pictures of her original ring with a wax model of the redesign next to it. And here are the pictures of the finished platinum redesign. 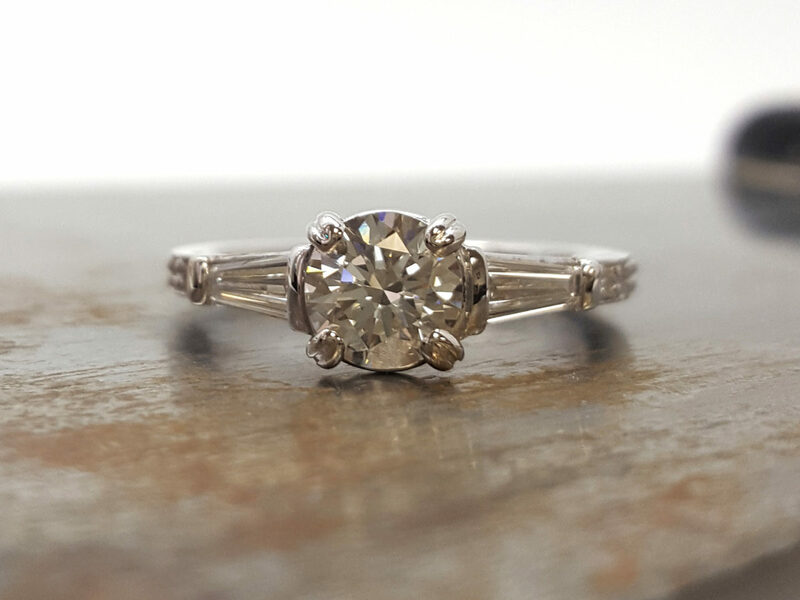 We maintained the vintage classic look with a proper emphasis on the center diamond. And most importantly it will fit into her lifestyle and job as a nurse.